Maxi Continuous Nitrogen Flushing Machine|Nitrogen Flushing Machine|manufacturers|Supplierss in Mumbai,India. Maxi Continuous Nitrogen Flushing machines are used to perform band sealing operations in the Vertical pose. 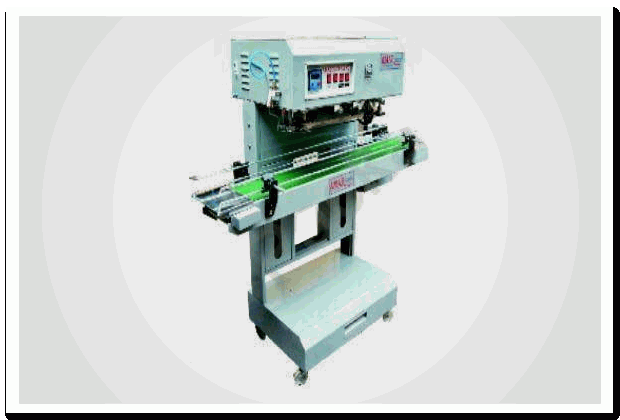 It is efficient packaging equipment the at is cost effective and known for its high performance. The sealer has a PVC conveyor belt of width 200 millimeter that is capable of carrying weight of up to 75 Kilograms. It is produced by using high grade steel and castings along with epoxy powder coated body. Our machine has some special features. Maxi Continuous Nitrogen Flushing machines are used to perform band sealing operations in the Vertical pose. It is efficient packaging equipment the at is cost effective and known for its high performance. The sealer has a PVC conveyor belt of width 200 millimeter that is capable of carrying weight of up to 75 Kilograms.it is produced by using high grade steel and castings along with epoxy powder coated body.